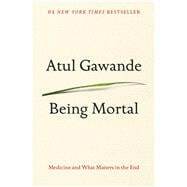 Atul Gawande is the author of The Checklist Manifesto, Better, and Complications. He is also a MacArthur Fellow, a general surgeon at Brigham and Women's Hospital, a staff writer at The New Yorker, and an assistant professor at Harvard Medical School and the Harvard School of Public Health. He lives with his wife and three children in Newton, Massachussets.